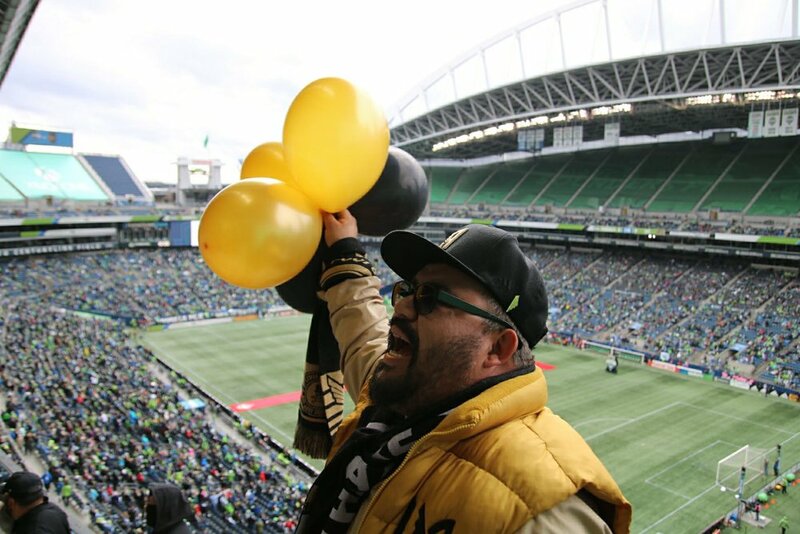 A spirited rally of chants were sung to boisterously announce that The 3252 had arrived in Seattle to witness history. 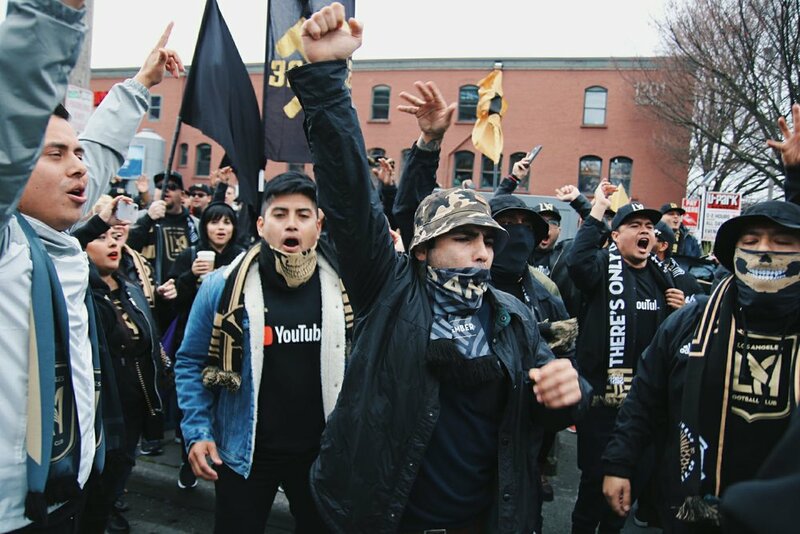 Supporters gathered at the Owl N’ Thistle pub last Saturday to celebrate the final night of a time before LAFC. Sunday morning marked the beginning of a new era in Los Angeles sporting history as Bob Bradley’s starting 11 would finally embark on its maiden footballing voyage. 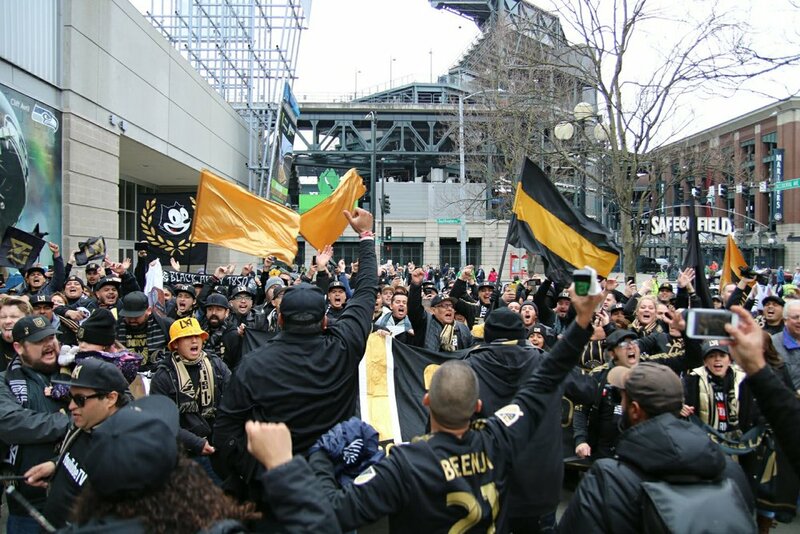 Around 300 Members of The 3252 met at Pyramid Alehouse and began to march to CenturyLink Field around noon. Banners and flags began to wave as the bass drum set the marching tempo. 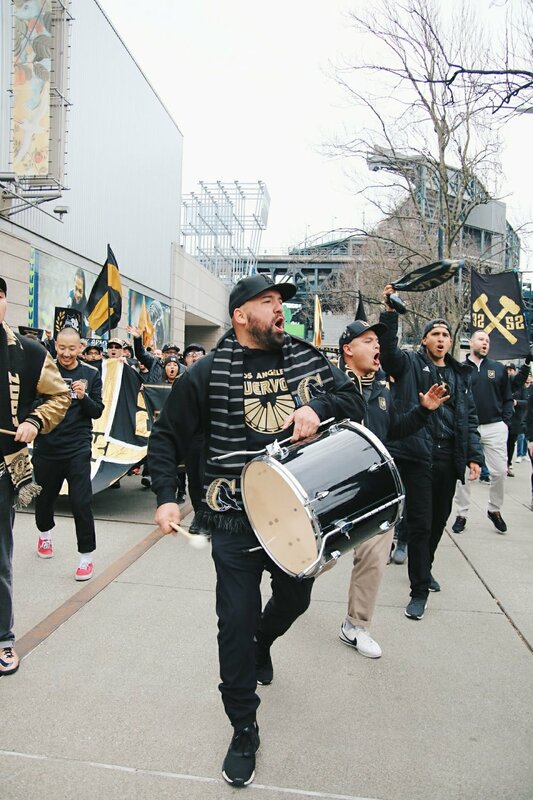 The capos led several chants that echoed through the streets and the halls of the stadium as we made our way to the upper deck. Black and gold banners were hung along the railings in stark contrast to the neon green stadium. 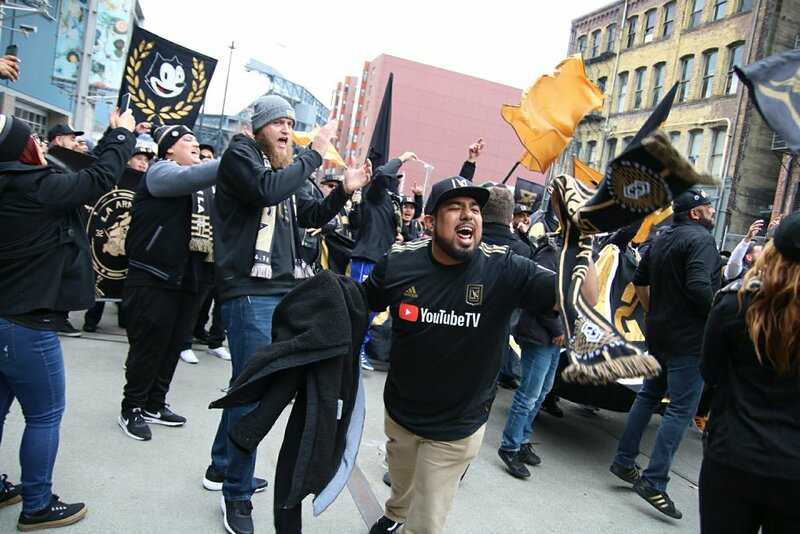 We counted down the final seconds until match start time and gave a raucous cheer as the ball began to roll, the Los Angeles Football club had finally arrived. 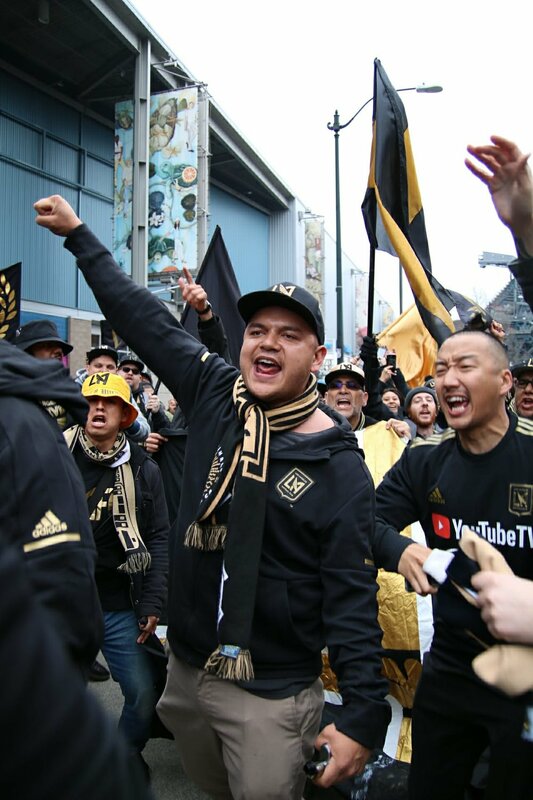 After three long years of waiting it only took 11 minutes for LAFC to score its first goal in club history. Diego Rossi secured a pass near the penalty arc from Carlos Vela and sent the ball flying out of reach of the Sounders keeper to the top left corner of the goal. Earning three points away against MLS Cup runners up Seattle Sounders was a dream start to our club’s inaugural season. 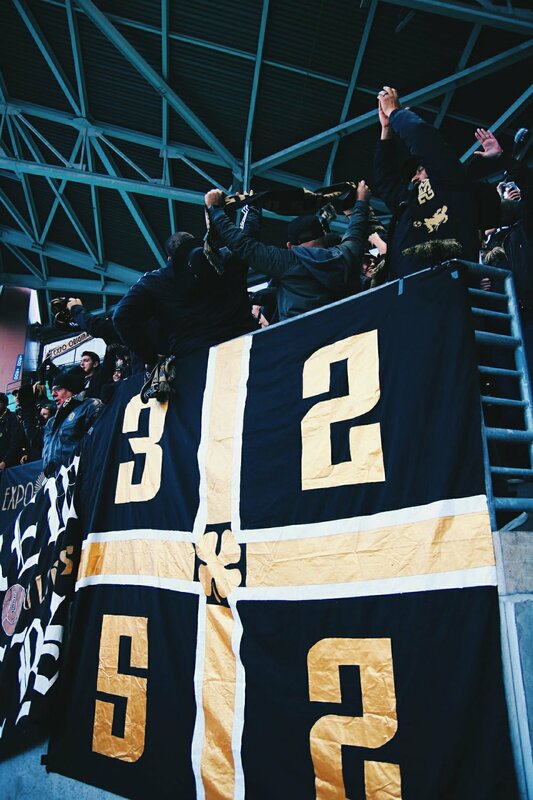 The 3252 will be there as LAFC continue to make history. 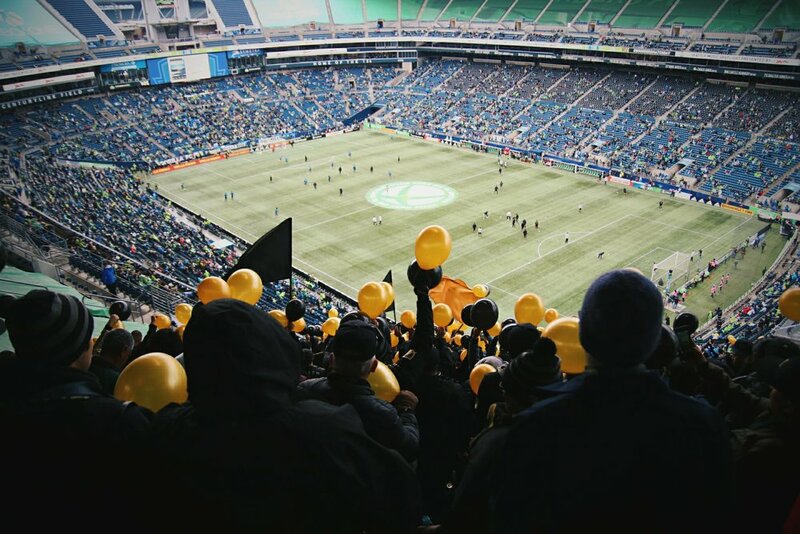 Seattle marked another pin on the map for The 3252’s continuing tour in support of LAFC. 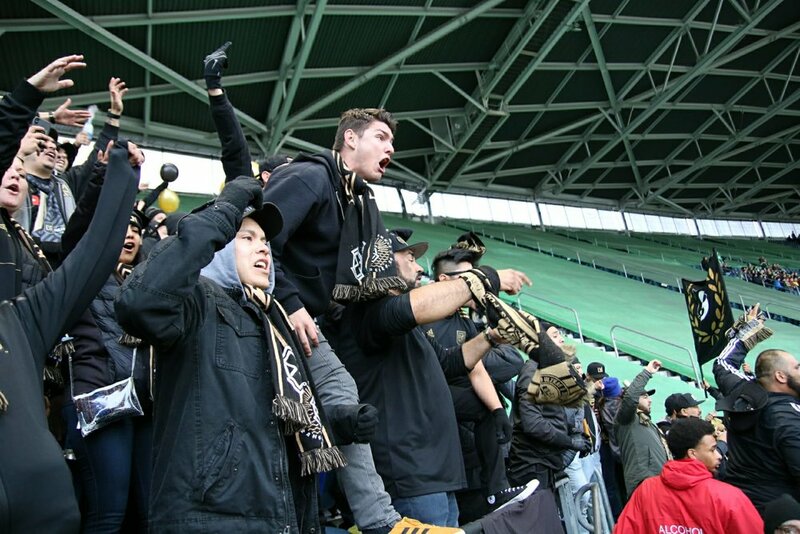 Members of The 3252 will have exclusive access to LAFC’s official supporters section at away games. Upcoming 3252 trips include Salt Lake City, Carson, Atlanta and more. Follow The 3252 Instagram, Facebook and Twitter for information on upcoming supporter events, away game travel details, player updates and more.